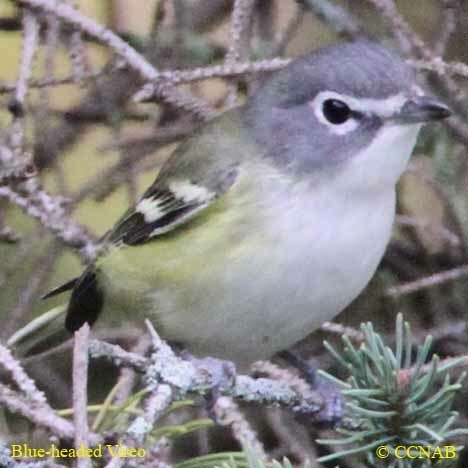 Species: The Blue-headed Vireo (Vireo solitarius), once known as the Solitary Vireo, arrives on the nesting grounds earlier, and departs the northern range of its migration later than all other North American vireos in the Fall. 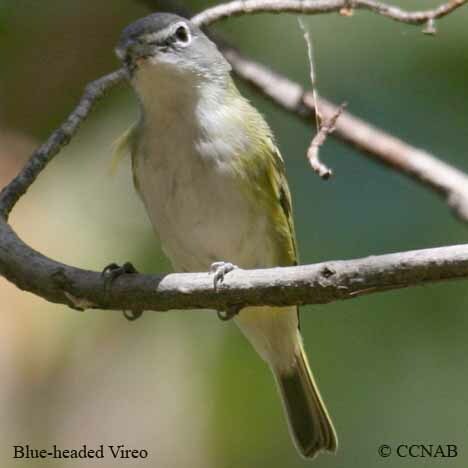 Similar in appearance to the Cassin's and Plumbeous Vireos, who were all considered one species and split a short time ago. 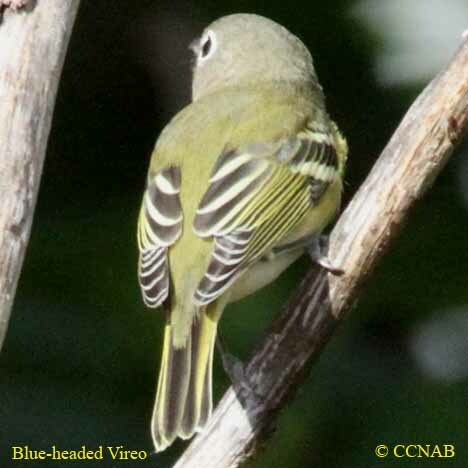 Like other vireo species, its main diet is insects, may eat fruits and seeds in some winter months. Distinctions: The male and female are similar looking in appearance. 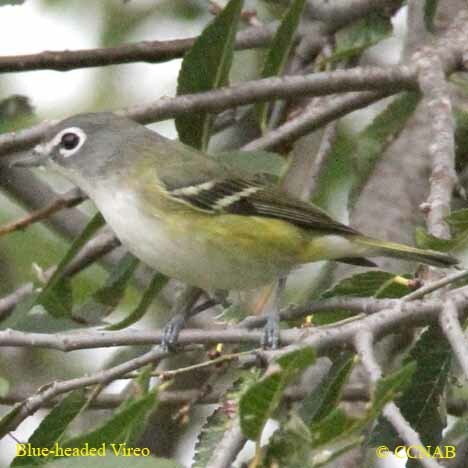 Has large bill with a visible hook at end of upper bill, same identifying features seen in other vireos. Blue-gray head, white lores and white spectacle surrounding eyes. Green back and tail, two yellow wing bars, yellow tipped primary feathers. White breast and undertail, yellow flanks. 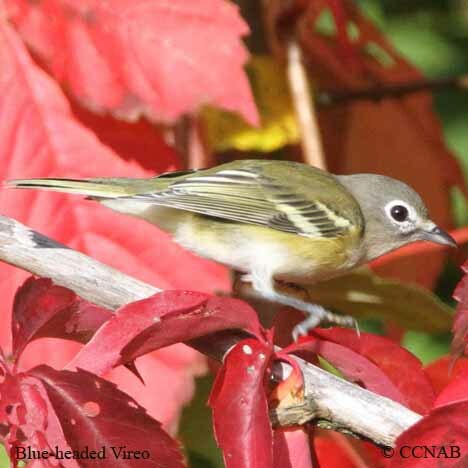 Voice: Similar song to Red-eyed Vireo, multiple notes, harsher call, does mimic other vireos. Sings as it moves about through the mid and top sections of conifer and deciduous trees. Nesting: Three to five white eggs, speckled with brown or black spots. Suspended cup like nest, built in the fork of branches. The nest is composed of strips of wood bark, plant fibres and other fine materials.